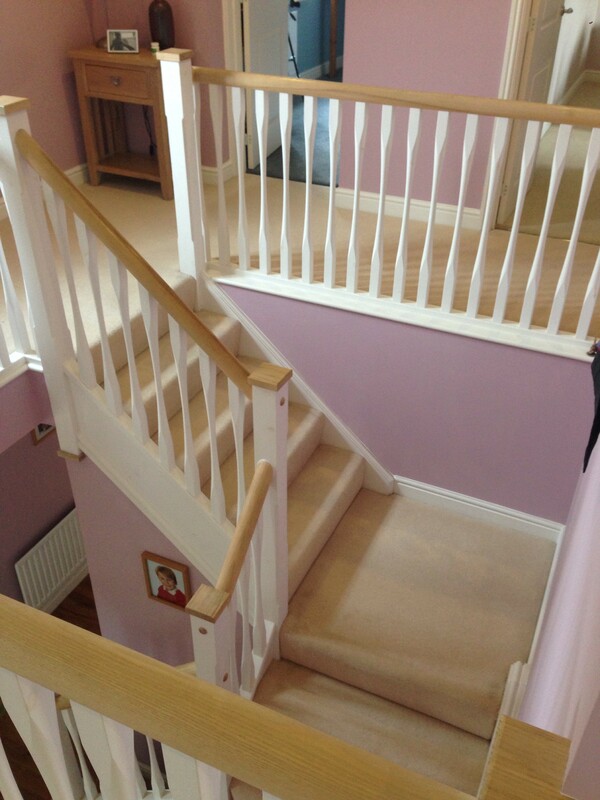 80/20 wool hall stairs & landing carpet in Cirencester, Gloucestershire. This pale hall stairs and landing 80/20 wool carpet cleaned very well. We used a low moisture cleaning method, meaning we could return the carpet to the customer ready for use almost immediately after we had finished the work.